One summer back when I was in high school, my older brother, probably tired of seeing me loaf around the house, loaned me his copy of The Bonfire of the Vanities. The book was massive, and while I have always enjoyed reading, I was a bit intimidated by it. Unnecessarily so, as it turned out. I started the book and couldn’t put it down. I spent every waking moment—and many when I should have been sleeping—reading the novel. I'd never seen a writing style like Tom Wolfe's, so uniquely quirky and beautiful, and I'd never read a book that so captured the realities of the world. It tackled class, race, the media, and a host of other issues that made the book, though fiction, as realistic a portrayal of New York in the 1980s as you'd find in a textbook. The Bonfire of the Vanities celebrates its 30th anniversary this month, and, despite the time that has passed since it was written, it still holds up. Three decades down the road and we're still facing the same issues as a nation as we were then. The novel follows Sherman McCoy, a Wall Street trader, who finds himself the center of controversy when he becomes an accomplice to a hit and run that resulted in the hospitalization and ultimate death of a young African American, Henry Lamb, in the process. It follows McCoy's fall from the heights of a self-proclaimed "Master of the Universe" to his new role as a social pariah and public punching-bag, while also detailing the tangential stories of the controversy, from the reporter who uncovers and investigates the car accident to the district attorney's office that prosecutes McCoy. The book has everything—conniving politicians who demonize McCoy for political gain, an Al Sharpton-esque leader in the black community who brings racial tensions to a fever pitch, and incredible media spin, with journalists who try to convict McCoy in the court of public opinion before he even goes to trial. What makes Bonfire remarkable, however, is its bizarre devotion to objectivity. It is a work of fiction, yet goes to great lengths to prevent the reader from sympathizing with any one major character or side. Lamb's death was a mistake, true, and McCoy's treatment at the hands of the press and courts is unfair, but McCoy is no saint. He was involved in a hit and run—with his mistress need I remind you—and did not report it to the police, eventually even lying to the authorities. Neither is Peter Fallow, the cynical alcoholic reporter who writes about the McCoy/Lamb case, shown to be worthy of admiration, or even Larry Kramer, the assistant district attorney who uses the case to seduce a juror. That neither side can claim a moral high ground has an interesting effect on the story. The case, for the readers anyway, becomes strictly about the facts. The only truly respectable character is the one who goes out of his way to be objective, the district judge assigned to the case, Myron Kovitzky. He is the lone character to rise above the politics of the matter and doesn't seem to have a personal stake in the outcome. In the end, Kovitzky dismisses the case before it can go to trial, after being shown evidence that McCoy was not the one driving the car at the time of the accident and that Kramer had coached a witness. But it's too late. The public handed down its ruling long before Kovitzky, finding him guilty regardless of what the court of law decided. The Bonfire of the Vanities is, at its heart, a treatise on justice. If Fallow, Kramer, and Co. represent the court of public opinion, then Kovitzky is emblematic of what should be our true source of justice: the law. The two sides eventually come head to head at a pretrial hearing, with anti-McCoy protesters filling the viewing section of the courtroom. The differences between their justice and Kovitzky's could not be more apparent. While they are passionate, Kovitzky is composed. While they are emotional, he is rational. While they want blood, he wants justice. Kovitzky insists on decorum and fairness and waits until the facts are presented to form an opinion. It is this impartial and disciplined approach to justice that leads Kovitzky to the truth. While showing the strengths of Kovitzky's form of justice, the novel also highlights the flaws of trial by the mob. The "truth" that Fallow and his cohorts present to the public is twisted and meant to manipulate sentiments. They take what happens and sensationalize it, turning what should have been a fairly straightforward case into a clash of class and race. The color of McCoy's skin and his wealth are irrelevant to his guilt or innocence and are ignored in court, yet are the two main talking points in the public discussion of the case. To the masses McCoy is either a white man who murdered a promising black teenager and thought he could get away with it, or a white man unfairly persecuted by politicians seeking to win over the black vote in an election year. Needless to say, emotions flare, and no matter the outcome one side ends up angry. Their opinions are already set, not because of the facts, but because of their worldview and agendas. This should sound familiar to anyone who has paid attention to the news the past few years. Police shootings are the most obvious example. A typically white police officer shoots a black man and two sides set up camp immediately, despite having only limited information regarding the incident. Any facts that hurt either side are largely ignored by that side, the divide remains, and the outcome of the eventual trial is considered a gross miscarriage of justice, either as an example of continuing institutional racism or progressive appeasement. The same pattern occurs in other news stories as well. Trump is guilty of collaborating with the Russians, despite any solid evidence, Clinton was guilty before the FBI's investigation was finished, and minds are made up over and over again before all the facts are made public. The Bonfire of the Vanities shows that viewing the world through an ideological lens is not a defensible course of action if truth is your objective. 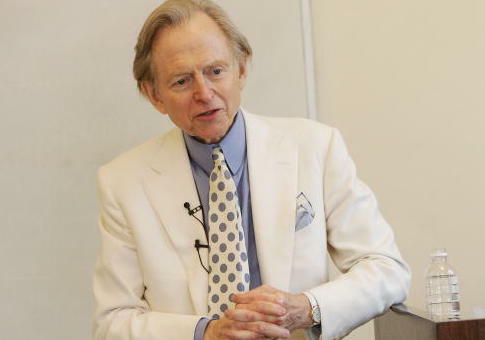 Tom Wolfe knew it didn't work 30 years ago, and, while much has changed since then, it still doesn't now.